Our product range includes a wide range of Dietary Supplement such as Herbal Weight Management Kit, Herbal Slimming Tablets, Weight Loss Medicines, Herbal Formulation Weight Loss Medicines, Herbal Weight Loss Medicine, Best Herbal Weight Loss Products and many more items. 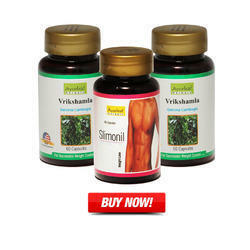 It contains 7 exclusive herbs that promote Weight Loss Medicines weight loss by burning away the fat. It has Medohar Guggulu 250 mg, Vidang (Embelia Ribes) 50 mg, Vijayasar (Pterocarpus Marsupium Stick) 50 mg, Punarnava (Borhavia Diffusa) 50 mg, Rudrajata ( Aristolochia Galanga) 25 mg, Pippalimul (root of piper longum) 25 mg.
As recommended by the physician along with the regular dietand exercise. The diet can be taken as per the dosha chart with the ideal weight depending on the age of the person. We are referred as a prominent enterprise engaged in supplying and trading superior quality Weight Loss Nutrition. It contains 7 exclusive herbs that promote weight loss by burning away the fat. It has Medohar Guggulu, Vidang, Vijayasar, Punarnava, Rudrajata and Pippalimul which helps in effective management of body weight. Available with us in various preferences, these are supplied to customers at budget-friendly rates. Description: This special remedy is made to reduce obesity and promotes weight reduction in a big way. Benefits: It is known to burn the extra fat that is stored by the body. When the fat burns it reduces the body weight due to its curative properties. Dosage: As recommended by the physician along with the regular dietand exercise. The diet can be taken as per the dosha chart with the ideal weight depending on the age of the person. 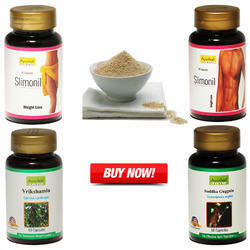 It contains 7 exclusive herbs that promote weight Herbal Slimming Tablets loss by burning away the fat. It has Medohar Guggulu 250 mg, Vidang (Embelia Ribes) 50 mg, Vijayasar (Pterocarpus Marsupium Stick) 50 mg, Punarnava (Borhavia Diffusa) 50 mg, Rudrajata ( Aristolochia Galanga) 25 mg, Pippalimul (root of piper longum) 25 mg. 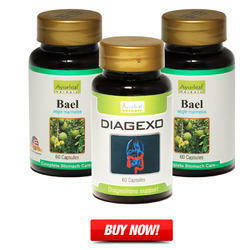 It contains 7 exclusive herbs that promote Herbal Formulation Weight Loss Medicines weight loss by burning away the fat. It has Medohar Guggulu 250 mg, Vidang (Embelia Ribes) 50 mg, Vijayasar (Pterocarpus Marsupium Stick) 50 mg, Punarnava (Borhavia Diffusa) 50 mg, Rudrajata ( Aristolochia Galanga) 25 mg, Pippalimul (root of piper longum) 25 mg. It contains 7 exclusive herbs that promote Herbal Weight Loss Medicine weight loss by burning away the fat. It has Medohar Guggulu 250 mg, Vidang (Embelia Ribes) 50 mg, Vijayasar (Pterocarpus Marsupium Stick) 50 mg, Punarnava (Borhavia Diffusa) 50 mg, Rudrajata ( Aristolochia Galanga) 25 mg, Pippalimul (root of piper longum) 25 mg. It contains 7 exclusive herbs that promote weight loss by burning away the fat. It has Medohar Guggulu 250 mg, Vidang (Embelia Ribes) 50 mg, Vijayasar (Pterocarpus Marsupium Stick) 50 mg, Punarnava (Borhavia Diffusa) 50 mg, Rudrajata ( Aristolochia Galanga) 25 mg, Pippalimul (root of piper longum) 25 mg.
Benefits:It is known to burn the extra fat that is stored by the body. When the fat burns it reduces the body weight due to its curative properties.